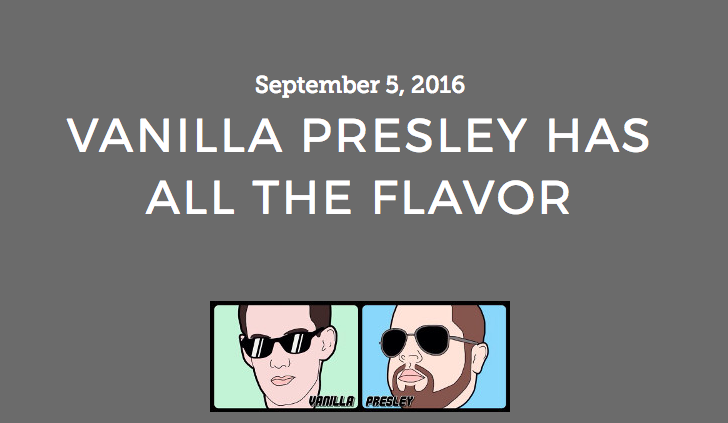 Vanilla Presley stopped by the Comedy Wham Studios for a two part podcast; Comedy Wham! hosted by Valerie Lopez. The first part is about how we got started, and the second is about what we’ve got going on today. Check out the write up for the podcast as well as a treasure trove of other podcasts featuring Austin comics at the Comedy Wham site here. Whoa, talk about parallelisms. I didn’t know Lane Krarup and Pat Sirois were destined to be together like this. It’s the weirdest thing when we think about lives and destinies and cosmic paths, but after hearing this interview, no two people were meant to be together more than these two star crossed comedians. Here’s little Lane Krarup growing up in Wisconsin, trying be cool towards his older brother and his brother’s friend and listening to some illicit comedy. Now let me clarify, by illicit, I mean stuff his mom doesn’t like so whatever. Anyway, things go on, and life progresses and somewhere… somewhere across the country there’s Pat Sirois. To continue reading click here. To listen directly on Stitcher, click here for Part One. Click here, for Part Two. ← Official Music Video for What’s Up Girl?